See this picture book showing the beautiful story of two sisters that show how the kids at the Fatima Childrens' Home are cared for, loved and respected as members of the family, Permanently or Temporarily. 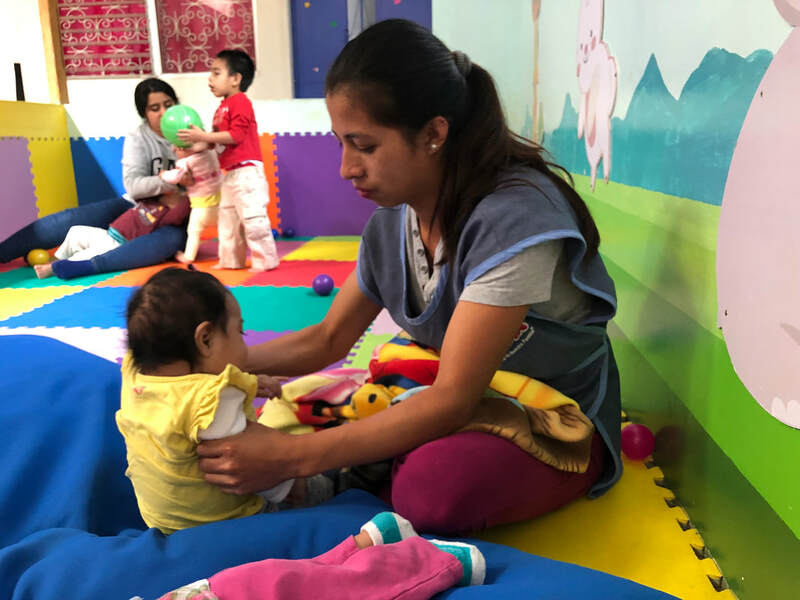 "These little angels came to Fatima Children's home with "Baby Bottle Tooth Decay" - it is common in Guatemala and often caused by prolonged exposure to drinks with sugar, likely bottles full of sugar water they survived on. The older sister had to have nearly all of her baby teeth removed and received dental implants. After her teeth were fixed her speech became so much clearer! Her younger sister also needs her teeth removed and dental implants, but the procedure is very expensive and we did not have enough time to save up the money before she was reunified with her family (February 28, 2018) to complete it. We have another little angel with us now who will need the same procedure and who will likely be with us for a long time, so she is our next priority. Thanks to our kind donors we are able to offer these girls love, health and much needed dental work." On behalf of the programs we serve, thank you for your generous contributions to the Guatemala Aid Fund. Your donations enable us to support the basic services and life-saving essentials provided by our partner programs - things most of us take for granted, such as healthcare, education, food and housing. Together, we have supplied medicine, specialty medical equipment, beds, surgical linens, shoes, clothing, appliances and much more. We personally visit the program sites we support to identify needs, and can assure you that your donations are making a big difference in the lives of children and families in Guatemala. Fatima began the planning for a new off-site location to provide parenting classes. If a child has relatives or an adoptive family that they may return to, the family must enroll in these parenting classes as part of the requirement of having their children return to their care. 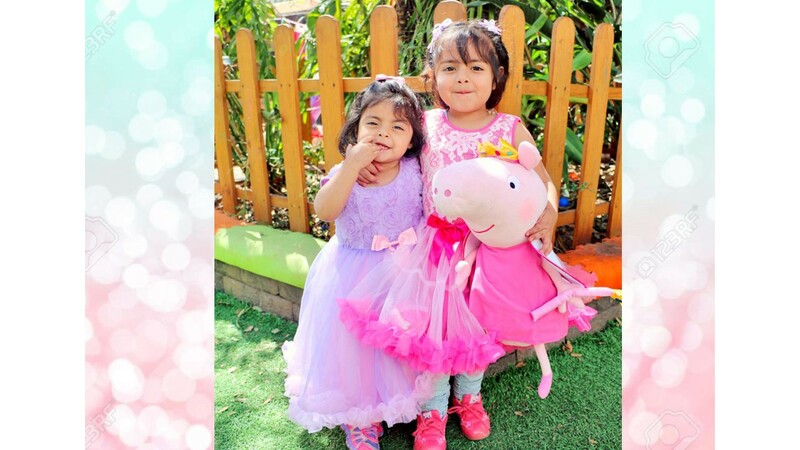 Fatima provides ongoing support for education and healthcare once the child is placed, and the entire family is encouraged to continue their relationship with the Fatima Childrens home, and the children are always welcome for the rest of their lives. It is their home to return to. Fatima's early childhood education teacher does an incredible job helping the children that are in school with their homework during afternoon homework time. Many children come to Fatima with no schooling, or very little school and are not able to attend school. They are brought up to their correct level with one on one assistance while the other children are at school until they are ready to attend as well. This is an incredible opportunity for children that would otherwise never be able to attend school. Amazing work they are doing. Fatima Childrens Home is always looking for sustainable practices at the home. The children are learning organic farming and basic planting. The goal is to have a large organic farm at the NEW Solola Childrens home that will provide fresh produce for City location, as well as provide some revenue from sales of the produce at the local market in Solola. The children will learn native farming practices, have chores, and provide food for their home and for sale. Babies Play Space Completed 2018! See below what this looked like before! These children were all in a space of about 10x12 feet before this was built and now they have this great space for exercise therapy and play! It is amazing. Play space for Babies Started! Help us Finish it in 2017! Donation to Build Older Childrens Bedroom Recieved! "At FCH while we generally only accept new children between the ages of 0 and 7, we continue to provide a home for children that come to us. Even after they become older than they age of our orphanage, and for as long as they need a place to stay" Our plan was to build a bedroom for the older children. The budget was $930 and thanks to your generous donations we are finishing construction 2017!." Thank you for the generous donation that will cover the cost of the bedroom!! Two-month old Andres arrived at Hogar Luz de Maria with a severe hernia that required surgery. Guatemala Aid Fund was able to cover the cost of the surgery and Andres is now a happy, HEALTHY, thriving toddler. When we first visited Luz de Maria, the director told us they did not have a refrigerator to keep food for then 32 children at the orphanage. With your donations, we were able to provide them with funds to purchase a refrigerator. Can you imagine having 32 children in your home with no refrigerator in a very hot climate? Fatima Home for Children provides excellent healthcare, nutrition, staff and activities for the children in their orphanage. The staff and directors are dedicated to finding as much funding as they can to keep the highest level of care for the children they look after. Thanks to Michelson's Shoes in Lexington, Mass. and the 8th grade students at Lexington Christian Academy, the children at Luz de Maria Orphanage in Guatemala City all received new shoes, socks and Christmas gifts last year. The gifts were sent to the orphanage along with other essential needs such as baby formula, Tylenol, and vitamins, as well as decorations to round out their holiday celebration. Construction has begun for outside and protected play space for the babies at Fatima Childrens Home! To be finished if funded in 2017! Private Space Built! Thank You! ​New private space for psychological counseling, medical visits and management at Luz de Maria. Sustainability is a Core Goal for GAF Partner Programs. 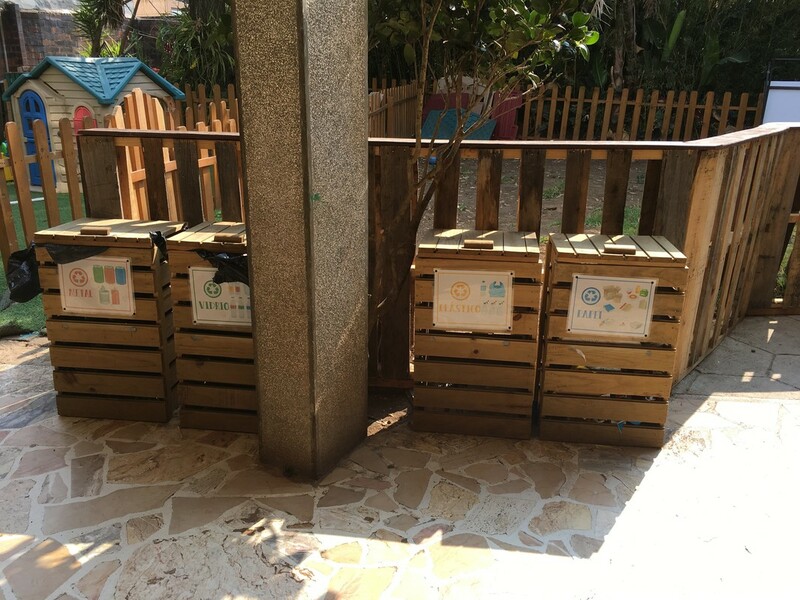 Fatima Childrens' Home has successfully sought grants and donations to build a recycling center, and develop a program to educate not only their kids, but the whole community on the importance of recycling! So proud of our responsible partner programs! Consistent with our program goals for sustainability economically and environmentally. 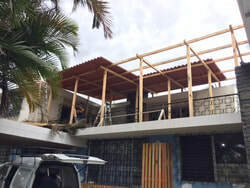 Fatima Childrens home, with the help of volunteers installed a new recycling center, and provides ongoing education for the children on sustainable practices. Oak Grove Lutheran School Students kicked off the fundraising contributions for Luz de Maria for the installation of Solar Panels! 2017 - in and operating! Saving money, protecting the environment, educational opportunities, volunteer support! Luz de Maria moved to a new location with a small yard for the children to play in. The previous home was a city house with no yard. The new location is safer and a better environment for the children. Your donations helped make that dream a reality. ﻿You helped our partner program Feliz Corazones purchase a paraplegic bed for Wilmar so he could stay in hi﻿s home with his family to care for him. When Wilmar was small his f﻿amily could carry him into a chair and he had prosthetics, which are very expensive, but he outgrew them. Your donations helped purc﻿hase a special bed for Wilmar enabling him to stay at home with his family.